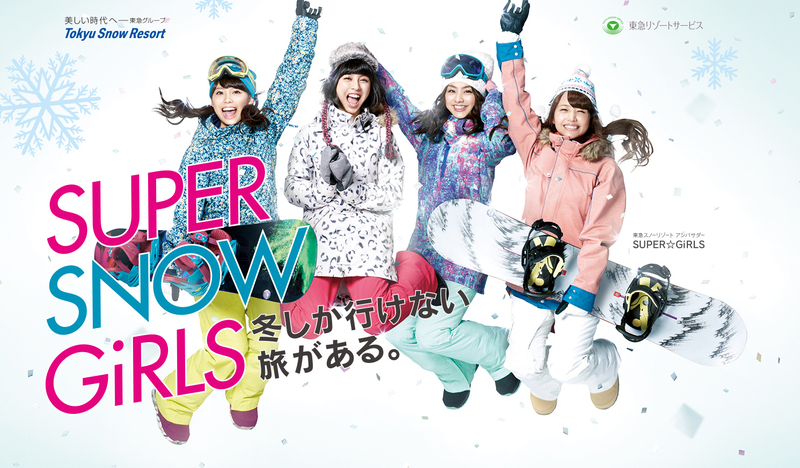 ﻿「冬しか行けない旅がある」SUPER☆GiRLSがアンバサダーに就任！ “There’s a trip you can only make in winter” SUPER☆GiRLS have joined our PR campaign as ambassadors!! 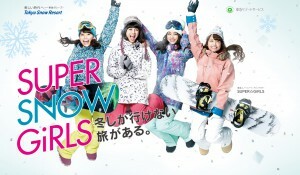 SUPER☆GiRLS have joined our PR campaign as ambassadors!! From December 15, 2015 (Monday), the nine ski resorts operated by and affiliated with Tokyu Resort Service Co., Ltd. are carrying out a PR campaign with the theme of “Ski” + “Trip”, entitled “There’s a trip you can only make in winter”, to attract a wide range of visitors this season, from young people to seniors and family groups. Rika Shimura (22), Rina Miyazaki (20), Reira Arai (20) and Mirei Tanaka (18) from SUPER☆GiRLS, Avex Inc.’s first idol group, have joined as our first-ever ambassadors!